At Salesforce, volunteering is in our DNA. Every employee volunteers on their first day as part of our Day1 orientation. Teams take VTO (Volunteer Time Off) days together to give back to their local community. Each employee gets up to $5,000 in matching donations in addition to 56 hours of VTO each year, and they’re encouraged to weave philanthropy into their lives. 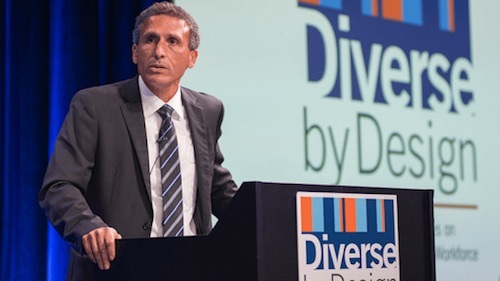 We pioneered the 1-1-1 integrated philanthropy model when we were founded in 1999, which has now paved the way for more than 3,000 companies who have adopted the model to date. Our goal is to make the volunteer experience for Salesforce employees easier than ever, so we turned to the Salesforce Platform to develop an app that does just that. It’s called Volunteerforce, and it helps our employees practice the philanthropy we preach. As our Ohana grew to over 27,000 employees worldwide, we needed to leverage our technology in order to scale our giving efforts and measure the impact. That’s where Volunteerforce comes in. Built by a team of Product Managers and Developers from Salesforce.org, Volunteerforce empowers employees across the globe to find meaningful volunteering and giving opportunities. 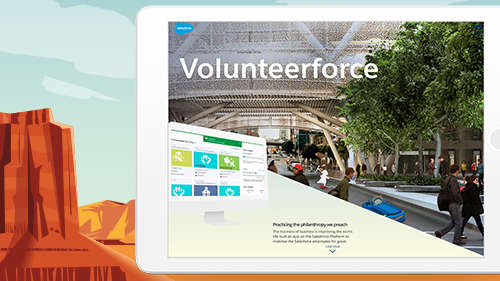 Built on the Salesforce Platform and available to employees on mobile and desktop, Volunteerforce lets employees discover new volunteering opportunities based on their location, preferences, and volunteering and giving history. The app makes it easy to organize team community service projects by recommending organizations and events that are suitable for groups. Chatter allows for seamless collaboration with other volunteers, streamlining event management so more time can be spent helping than organizing. Employees are encouraged to volunteer with any nonprofit they’re passionate about. But what if someone’s favorite organization to support isn’t in Volunteerforce? Employees can add nonprofits to the Volunteerforce database, and API calls to Guidestar enable quick and easy charitable status validation, letting employees log time or donations right away. Volunteerforce leverages Service Cloud as a case management system, letting employees sign up for open volunteer shifts at existing events, or log time for non-Salesforce sponsored community service. Volunteerforce makes it easy for our employees to prioritize volunteering and giving as part of their daily lives. Want to learn how this app has helped our employees support over 23,000 organizations and log almost 3 million volunteer hours? 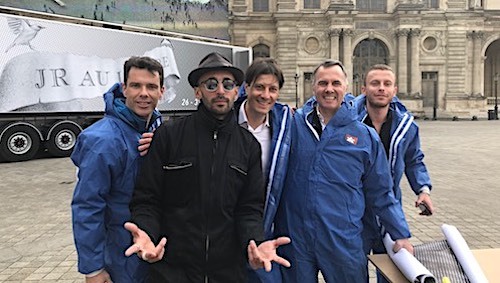 The latest story in our series of interactive stories, Inside Stories: How Salesforce Uses the Salesforce Platform, is all about Volunteerforce. Check it out to learn more about how we use our own technology to help improve the state of the world. 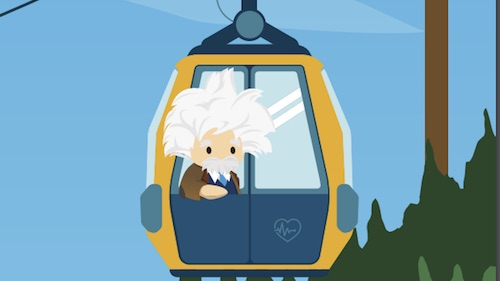 Salesforce really does run on Salesforce, and we’re excited to continue our interactive series of stories showcasing how we solved these challenges with the Salesforce Platform. It’s called Inside Stories: How Salesforce Uses The Salesforce Platform. This series explores eight different apps showcasing of the power and flexibility of the Salesforce Platform to solve everyday business challenges, improve employee engagement, and boost innovation.